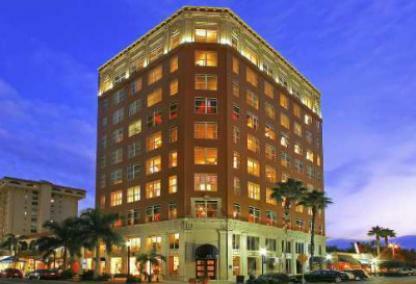 The Orange Blossom condominium is located right in the heart of downtown Sarasota. Built in 1926, with European style, this tower offers historic charm and incredible detailing. Residents enjoy easy walks to dozens of restaurants, shopping, galleries and professional buildings from this boutique building. In addition, St Armands Circle and Lido Beach are just a short five minute drive.